The Chinese have used red yeast rice since about 800 A.D., and it offers a variety of health benefits and uses. 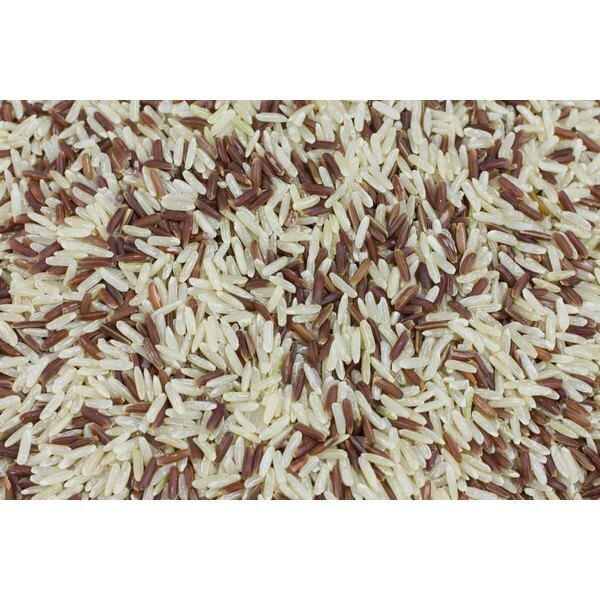 Red yeast rice is a byproduct of rice that contains chemical compounds called monacolins. Some modern prescription drugs, such as lovastin, known by its brand name Mevacor, is a cholesterol-reducing drug manufactured by Merck& Co. that contains monacolins. Red yeast rice has a Chinese name, Zhi Tai or Hong Qu, and is in most natural health food stores online and off. Red yeast rice contains monacolin K, which prohibits the production of HMG-CoA reductase. HMG-CoA reductase is the sticky part of cholesterol. It sticks to the inside of blood vessels, and often results in blockage leading to stroke or heart attack. Red yeast rice has been under human studies since the 1970s in the U.S., with results that show lower triglyceride, or bad cholesterol, levels in the blood. There is no determination of long-term effects, according to Medline Plus of the National Institutes of Health. Generations of Chinese have taken red yeast rice to soothe upset stomach, diarrhea and indigestion. The product is popular in acupuncture therapy for spleen, liver and large intestine or colon health, states Dr. John Chen, PhD, writing for "Acupuncture Today" in his article, Red Yeast Rice: Rediscovery of an Ancient Herb. However, this is not a recommended supplement for those with acute liver disease. Improved circulation of blood is one of the potential benefits of taking red yeast rice, though there have been no in-depth studies conducted to prove this claim, according to Medline Plus of the National Institutes of Health. There are some claims that red yeast rice may provide benefits to those with diabetes, states Medline Plus of the National Institutes of Health. However, the department recommends further studies to determine its effectiveness. When combined with a variety of herbs such as Yan Hu Suo, also known as rhizoma corydalis, or Hong Hua, known as flos carthami, red yeast rice may offer pain relief from injury or trauma, according to Dr. John Chen, PhD, in a 2004 article in "Acupuncture Today." How Much Protein Is in Wild Rice?